Located in the heart of Hamilton City, Queen Elizabeth Park is a beautiful city park with trees, shaded gardens and walkways. It was earlier known as Par-La-Ville park. It's considered as a premier park and a recreational area within Hamilton City. This is often a favorite place for the office goers or even school children for taking lunch. This garden was planned by William B. Perot who was the first Post Master of Bermuda. His house located at one end of the park is now the Bermuda Historical Society Museum and also the National Library. As you walk along the mosaic walkways, you will see rock gardens, flower beds and shady trees all around. There are wooden benches to relax. In 19th Century, this park used to be an orange orchard. Some 40,000 boxes of orange were once exported to Boston from here. Huge rubber trees at the entrance were brought in from British Guyana and planted in 1847. Other features of the park include the several sculptures, a koi pond and a Royal Poinciana tree at the center. You can also see some roosters in the park and of course several types of birds. Overall a lovely park where you can unwind, or have your packed lunch or just take a short break before starting to explore the city further. Toilet facility is available. However if there is one negative here, it's the homeless who wander about in the park occasionally. The park has three entrances. If you take the Parla Ville Road entrance, you will pass through Bermuda's oldest limestone Moongate. Moongates are arches that bring good luck for those (particularly couples) who pass though them. If you take Queen's Street entrance, you will see the Perot Post Office next to the entrance. There is also a third entrance from the Church Street to the car park of Queen Elizabeth Park. 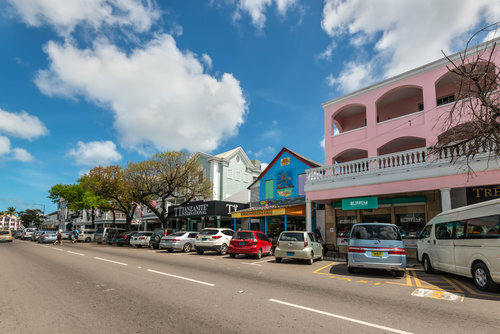 Queen Street, Hamilton City, Bermuda. It's a short walking distance from the Hamilton ferry terminal. Update June 2015: Beginning June 6th 2015, there will be live performances at Queen Elizabeth Park every Saturday until October 31, 2015 showcasing Bermuda's traditional cultures like live Steel Pan Music followed by address from Hamilton City Town Crier, and then the main attraction - Bermuda's Gombey Dancers' performance. The weekly entertainment starts at 12noon and the Gombey Performance is at 12:40pm. Entry is free. Update April 2012: Effective April 21, 2012, Par-La-Ville Park is renamed to Queen Elizabeth Park. This is done in honor of the Diamond Jubilee birthday of Her Majesty the Queen Elizabeth II. A renaming ceremony is held at the park with a lot of fanfare from Bermuda Regiment and live music by the North Village Band. 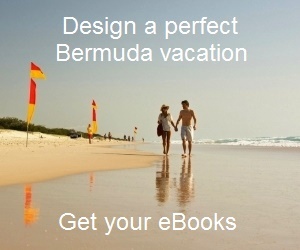 2) Check out Pembroke Parish and Hamilton City for many other attractions in and around Hamilton Bermuda.